I could have chosen a number of insects for bug of the week today. The mother crab spider's eggs hatched, and the babies were ballooning away last night. I finally caught a cixiid in the act of laying eggs. The list goes on. But this one really caught my imagination. 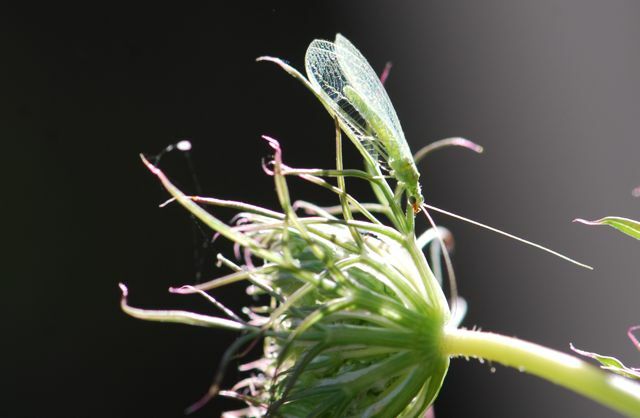 I've shown you the beautiful, delicate green lacewing adult before. Here's a mystery: How many lacewings do you see in the photograph below? Edit: There are three lacewings on this carrot flower. 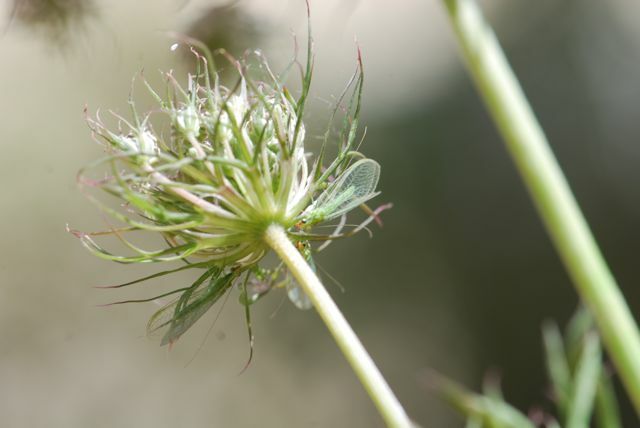 Post on green lacewing life cycle showing photos of all the stages.